﻿﻿﻿﻿﻿﻿﻿﻿ ...a boy and we couldn't be more thrilled! For those of you who haven't heard. Mark and I had a hard time deciding if we wanted to find out the gender of our baby. First I did and he didn't, then we switched positions. Somewhere leading up to our 20 week appointment we decided we would put the sonogram picture in an envelope and open it on our wedding anniversary, September 30th. Yesterday was very exciting, and our son has already given us an incredible gift. He spent 6 weeks being uncooperative for the sonogram technician, preventing the doctors from fully analyzing his anatomy - tibia length, kidneys, head size, heart ventricles, the works. So we HAD to have a sonogram on our anniversary. We spent nearly an hour yesterday watching our little boy - it was an incredible experience and a great anniversary gift! I think he already looks like Mark. Oh Shannon, I love it!!! We've never seen a pic of our Baby's face and b/c our due dates are close it's soooo fun to see what our little guy probably looks like (or at least close to that... mine probably doesn't look like Mark though :) ). CONGRATS!!!! hoooray!!!!!! soo soo soooooo happy! he DOES look like mark already :) ahh! cant wait to be this precious lil buddy guy! hooray!!!! 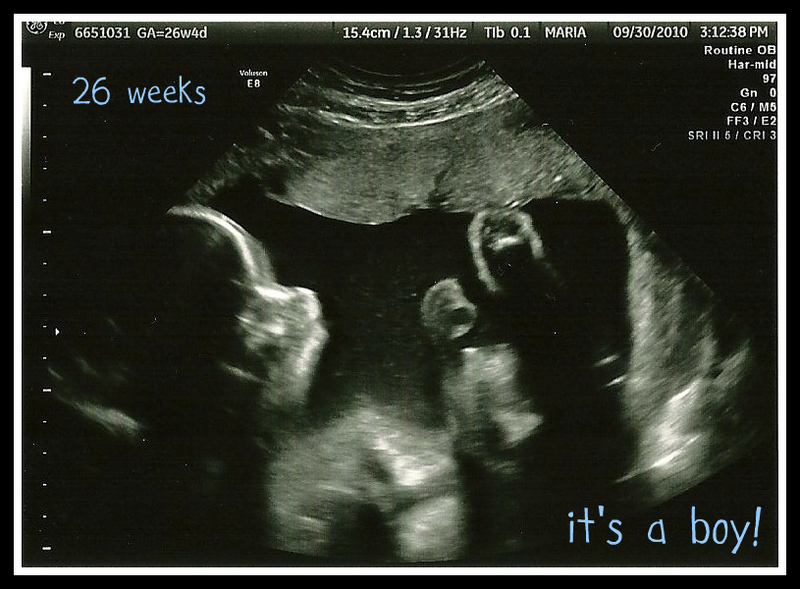 :) another boy :) sooooo exciting!!!!!! !